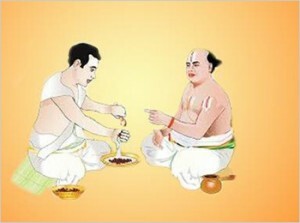 Pratipada Shraddha is a ritual that is done for those whose family members died on the Pratipada Tithi, including both Shukla and Krishna Paksha Pratipada. The Pratipada Shraddha Tithi is considered suitable to perform Shraddha for maternal grandparents. If there are no people to perform Shraddha at maternal home then doing Shraddha on this Tithi appeases souls of maternal grandparents. Even if death anniversary of maternal grandparents are not known then also Shraddha can be done on this Tithi. It is believed that performing this Shraddha brings happiness and prosperity at the home. Pratipada Shraddha is also known as Padwa Shraddha. This is an auspicious time to perform them is either Kutup Muhurat and Rohina etc. Muhurat after that till Aparahna Kala gets over. Tarpan is done at the end of the Shraddha.